Tamahere and Matangi book lovers who use the Hamilton city libraries will have to pay to continue to do so in 12 months’ time. 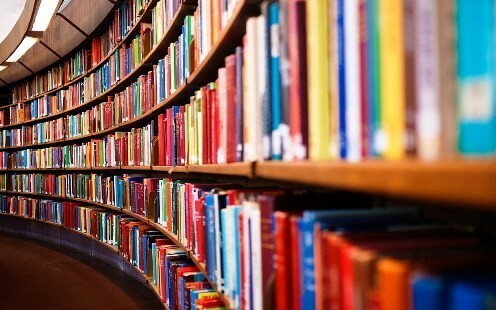 An overwhelming majority of district residents wanted continued access to nearby town libraries under a long-running Waikato district council-funded scheme but access to the Hamilton libraries alone is to be axed. Access to libraries in the Waipa, Matamata-Piako and Hauraki district will remain free for neighbouring Waikato residents. At least one councillor has described the axing of the Hamilton library service as “very disappointing”. For up to 20 years, the Waikato council has paid Hamilton City $300,000 a year for its nearby residents to use the Hamilton libraries – a cost that will now fall on individuals who, after a year’s grace, will be up for an annual fee of $80 a library member to continue to have access to the city’s libraries. Eureka ward councillor Rob McGuire disagreed with the decision and said he thought the council got good value for its money. Current, active users of Hamilton city libraries will receive one, free, 12-month library membership per household, courtesy of the Waikato council, but after that they will be on their own. Those householders, who must have borrowed at least one book in the last year to qualify, should receive a letter explaining the option soon. The initial consultation, which began last October, drew an unprecedented response with more than 5000 submissions lodged on the topic. An overwhelming majority – 47.4% – wanted the council to continue negotiating agreements so that residents could access libraries near to them. Other options, including cancelling the agreements, received less than half the support that retaining them did. “After undertaking contract re-negotiations it has become clear that the amount of money we were spending with Hamilton City Council would be better used to enhance our own services and investing a shared service across the entire Waikato region,” the council said online in a post that announced the Hamilton deal will end on September 30. In a Q&A in the same post, the council said it had decided to put the $300,000 it was spending with Hamilton City Council “towards new and enhanced library services in our district. The affected residents are all in the south of the district because the council’s libraries are in Ngaruawahia, Raglan, Te Kauwhata, Huntly, Tuakau and Meremere. Residents who can continue to access the Hamilton city libraries free for another 12 months are in a specific area identified on a map available here. I would like to make further comment following the very passionate and plentiful comments that have been made here and elsewhere in the last few days in regards access to library services locally. Clearly the arrangement giving access to Hamilton’s libraries for the southern part of WDC (Tamahere and Matangi particularly) is dearly valued by many -this was never in doubt and many, including myself, hold the view that as WDC ratepayers we actually need more and better access to library services locally -that the Hamilton city access was a good start but with the growth in Tamahere and Matangi (and the majority of new homes being built being owned by families with young children) we need an improved service here in the southern part of WDC. With this in mind and combined with a District-wide review of services, WDC entered into negotiations with HCC whilst also exploring other and additional options for increased services locally; I supported this approach and WDC sincerely wanted to retain the access to HCC libraries but in the end, regrettably, the negotiations with HCC were unsuccessful. WDC continued negotiations as long as possible hoping for a positive conclusion and I acknowledge that in the end it has been a bit of a scramble to put in place, as an interim, a voucher for one free membership per household for the coming year for active users of the Hamilton libraries to ensure local people could continue their usage of the HCC libraries whilst WDC over the coming months (that’s months, not years) finalise the way forward. That interim voucher solution has obviously caused significant upset -and I am sorry for that. People use libraries in many different ways and the voucher intended to allow locals to have continued access appears from your comments not to have hit the mark and for that I apologise. Feedback has been plentiful and passionate. I am listening -it is my job to lobby for the people in the Tamahere and Matangi area. I accept the feedback comments generally have not reflected a desire for more or better; the theme of comments are more in the nature of “I just want to be able to go back to Hillcrest with my family membership”. So, my second apology is that my own desire to see more and better locally might be out of step with what many of you in the community are saying currently -that the status quo is enough and works. Indeed status quo (option 1 on the recent community consultation) was the single most popular option, though (with respect) 47.4% is not a majority -and I was also guided by the 52.5% of respondents who favoured one of three variations of “cancel and do something else”. So let me be clear on my personal (not WDC, but personal) path forward as Ward Councillor. Instead of working on more broad options or various new options, I will focus on supporting and lobbying for one of three main paths to the future that appear aligned with additional feedback received -the first two of which were already in the mix and being worked on from the initial community consultation. Other solutions may very well be possible (and I remain open to that) and my role is of course to lobby on behalf of our community -I want to clearly state that I can not guarantee to deliver any outcome without the support of the rest of Council. 1) Regional Service – “one card to rule them all” as it has been coined. A single library card to give access to all libraries in the Waikato region on whatever terms a local ratepayer would enjoy; a formal independently led project is already underway and should be complete within a couple of months. This is the option with most promise and already works in several other NZ regions very successfully -and on top of that WDC can still do other youth activation/school-based initiatives, e-books and mobile services and so on. WDC is strongly supportive and is right now working with HCC and Waipa on the feasibility of this as each Council considers the benefits a region-wide approach might deliver to all their respective ratepayers -it delivers great benefits & allows maximum flexibility for users. 2) WDC will (from October onwards) have a saving in what used to be spent with HCC; this could be used to rent space in (for example) the new commercial hub. Clearly additional funding over and above the rent has to be available for library staffing and so on -and such funding has not been committed to by Council- but in speaking with Fosters, there is capacity inside the Hub to rent such space. The first buildings are due to open in November this year, the next to follow in 2019, and securing space for a local library (with adjacent playgrounds, cafe, sports park, bus stops etc) would be a good step forward worth exploring fully when this current opportunity with our new Commercial Hub exists and puts us on par with other communities in WDC like Huntly, Raglan and Tuakau etc that all have a local library. Please note this option would also require capital budget for the purchase of books etc which is not currently in WDC’s budget -and not only Tamahere and Matangi but also Eureka, Gordonton and other are affected by this decision: the full 300K is not available to spend here locally. 3) Return to an access arrangement with HCC -negotiate a more sustainable and appropriate arrangement going forward. Clearly this negotiation has not been successful to date and the failure to reach agreement led us to where we are now; I have no issue seeking to re-activate the discussion directly. It is obviously the quickest option to activate and provides a return to the status quo -I can not be sure of HCC’s appetite or conditions required, nor the likelihood of success but I have no problem also prioritising exploring this approach as the current feedback suggests this status quo may be enough. The first two options were already in the mix and underway but I wanted to address the “putting the blind cart in front of the lame horse” and other conspiracy theory comments that appeared to suggest no thoughts or planning was underway -and make clear what three options I will prioritise my support and lobbying efforts in moving forward. It is regrettable (and I reiterate my apologies for this) that the interim voucher system to allow continued access to the HCC library did not appear to provide the satisfactory holding pattern hoped for. I trust this sheds some further light on the issue -I am listening, I have heard. Aksel – the basic premise of Waikato District Council in axing the free library services is highly questionable. The free access to any of the Hamilton libraries has actually been subsidised by HCC for some years (these figures were given by our delegation to WDC’s Long term Plan hearing), and all HCC was asking was a continuation of the same amount, despite inflation. You have cut off your residents’ collective noses in pursuit of a potential, maybe, region-wide library service, which will at best not happen for some years – in the meantime you have loaded another cost, and hassle, onto your constituents, and stuffed up an arrangement that was not broken. I wonder if Tamahere residents are aware that the majority of the money collected in rates from your Ward is actually spent in other parts of the District, principally the far north. Are WDC’s Tamahere ratepayers getting good value for their money? Tamahere residents may like to reflect on the fact that, when the Councils didn’t want Templeview suburb to ‘secede’ from Waipa District and become part of Hamilton City, Templeview residents petitioned the Local Government Commission to order the suburb be incorporated into the city – maybe a move Tamahere residents might contemplate? Waikato District council / Aksel Bech. Quite simply you have ignored our responses and made a very poor decision on our behalf.. I was under the illusion our elected representatives were there for us, especially when they ask us what we want and we tell them!!!! $300,000 diluted across the District can in no way replace the facilities of the Hamilton Libraries. The status quo worked and now we are to be given a lesser version. You need to rectify this before we have to yet again pay for services we believed were covered in our rates. As others have stated this decision by WDC is extremely disappointing. The access to Hamilton libraries was an aspect we valued highly from our rates, especially the high rates in Tamahere. The Hillcrest library is ideally located for us, being close to schools and other amenities. 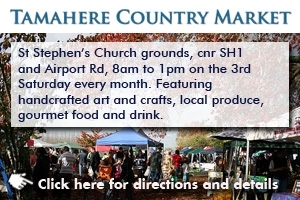 It is an area we frequent on a daily basis. Cambridge is not convient for us and neither is Ngaruawahia. A library bus is not an option for us in our busy lives. We consider reading real books as important in our children’s education. We encourage our children to have less screen time and more time reading physical books. Shocked at this decision by WDC. This issue highlights the lack of support for Tamahere residents from the council. I would like to add my support to the those who have posted above. I particularly agree with the comment of Ingrid Chettleborough above in relation to a redrawing of the Council boundaries. 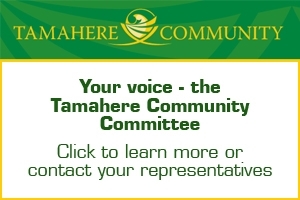 The inclusion of the Tamahere/Matangi area in the Waikato District Council area is not logical and it is remote from the administrative, and I assume, the operational arm of the Council. In the last six years our rates have increased markedly and I have responded to non-binding (obviously) referendums on rubbish collection, upgrading of the Tamahere sports fields and Library use. Despite my input we now pay for stickers for our rubbish collection, I am levied a special rate for a bit of fancy equipment on a sports area 5km from my home and will soon be paying for library services from Hamilton City Council (from who I currently borrow about 50 books a year). I agree with Mr Clarke above who believed that the referendum was a waste of time as the outcome was determined prior to receiving the submissions. At the same time I see little maintenance done by the Council in the area. It took one month to have a road sign replaced following its removal at the end of Summerfield Lane (and it is still missspelt), the section of Tamahere Drive near Pickering road is overgrown and has had a broken fence since the start of this year (reported by a number of residents) and grass and weeds are growing strongly between the seal and the kerbing in Tamahere Drive. This last item will lead to more expensive repairs than a simple spray 6 months ago. I am sure that a boundary change to locate us within Hamilton City or Waipa District would provide us with Libraries and put us closer to maintenance groups from those bodies. I cannot imagine that their care and attention would be worse! This is very disappointing, my preschoolers love our visits to the Hillcrest and city libraries where we spend time browsing and can access a large variety of picture books. For all the rates we pay how about building a new library at those promised shops at Tamahere it would be a great meeting Center for locals and a bit of a show for the council to prove they remember us on this side of town. Not much here, short to nowhere footpaths, septic tanks, constant road works that fall to crap in no time we need to see something positive for a change. I am in agreement with just about everything said before. Why the extra expense when we clearly wanted things to stay the way they were ? It’s not like we’re getting it for free anyway – look at our rates : O E-books and library busses all have a great role in some circumstances. But in this situation it’s ridiculous and an insult. I won’t be surprised if a significant percentage of the patrons at the Hillcrest Library are from Tamahere and surrounds. At a time when the internet is increasingly crawling into our homes and our childrens’ lives, I find it ludicrous that we should be fighting so hard for access to a library ! Shouldn’t we be making it EASIER for kids to go in and read from “old fashioned paper books ” ? I think it’s disappointing that you will have to charge us to get children’s books. We go to the Hillcrest library and Hamilton library all the time and the kids love it. E books won’t work for our kids as they don’t use devices! There is nothing better than reading a vast array of books to your children every night before they go to sleep. This is a silly initiative that to me is very nit picky. Tamahere residents pay a lot in their rates. We’re only 1 min from Hillcrest so it’s silly! As a rate payer and a resident in Tamahere, my view is this decision is a very poor one and does not serve the wider community. Your statement that the council is not cutting the budget is semantics as fundamentally you are removing library access. To say you are looking to getting better value, is your perception.Your description of the options does not provide greater access to books. While you may determine E books as serving the community it is not the same as providing a library service. I use the Hillcrest library weekly and am devastated that my access will be restricted. As the council is approaching this as a targeted rate, I ask you and the council consider discounting our rates by at least $80.00 – the same amount that it will cost me to be an out of town member of the Hamilton Libraries. The council decision reflects the disconnect with the outer reaches of its boundary. 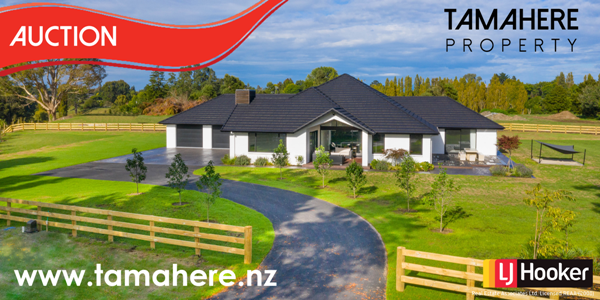 Tamahere is not geographically linked to the rest of the Waikato District. We cannot access the current libraries in the district. As a general comment, Hamilton City provides us access to virtually all community related support services. The only exception is the Tamahere Community Centre (which in itself is a targeted rate). I would argue that this decision is reflecting a core issue we need to have some fundamental realignment of boundaries with Waikato District, Waipa District and Hamilton City Council. Thanks for highlighting this issue in the Tamahere Forum -libraries are greatly valued by many and we here in the Tamahere area have not been as well serviced as in other WDC areas, hence the arrangement with Hamilton has been in place. -anyone wishing to use the Cambridge library can still do so on same basis as now and any active users of Hamilton libraries (under criteria outlined in Forum article) will be able to get one free membership per household to continue for the year to come. Reference materials and many other in-library services will also continue to be available of course. So overall I am more positive on this initiative than my fellow councillor, Cr McGuire, and believe we will end up with better access and library service going forward but I agree with him entirely that community feedback is important and likewise encourage everyone wishing to do so to have their say. You must be joking that the residents in your ward will be better served by the “better access and library service going forward”. Can you really compare a weekly visit by a library bus to Hamilton Central Library? When I completed my submission on the library question last year I enclosed a letter (and I am yet to get a reply) in which I forecast that the outcome would be that which has now been decided. Council has done this against the wishes of the vast majority of the rate payers which makes a mockery of the democratic process. – A weekly bus? How am I supposed to access this while I work to earn the $260 per year I now need to pay to get what I got before? And now you want feedback? You already had it! I’m dismayed that the 47.4% majority told you what they wanted, and you still went ahead and did this anyway. It has been wonderful to have access to Hamilton Libraries – so much so I was sure it would continue! Aksel can you please tell us how many Hamilton Library memberships are held by WDC residents currently? It would be good to know how many people are directly impacted by this decision. $300,000 is only 3750 $80 memberships. Certainly the Tamahere and Eureka wards residents are those that will be most severely affected but I understand Whatawhata and Te Kowhai areas will be too. – a voting population of at least 12,000 or 24% of voters. Was any consideration given to whether the feedback received was from those directly affected? I notice Council’s decision is to spend the money “across the district” which would indicate that those directly affected are a low priority. Evidently we can “go to Cambridge”. A mobile service and e books offer great service to particular needs but are not relevant substitute for many. The access to Hamilton Libraries came about after a few failed attempts by WDC to bring library services to our area and in the absence of any other arrangements remains the right solution. The one year subsidy should be to all households not just current members and continue to be paid until a suitable replacement is decided and acted upon. Aksel, today I received an email from the Hamilton libraries advising me that I will not be able to borrow items using my existing card/membership from 31 August. Both the Hamilton library and the WDC letter say that the current memberships will expire on October 1. But if I can’t use my current card from August 31 I’ve already lost one month of the promised 12 month membership. Also, it seems very odd that both the library and the district council can write to district library members even though no figures have ever been presented to show how many memberships the district has been getting for its $300,000 a year. If they can write to us can’t they count us? It means we have no idea what this decision was based on. We’ve lost something we greatly value for a complete unknown or what the council calls euphemistically “exciting times ahead”. But what can these “exciting times” be when the council also says it will have to work with us “to find out what services you require, now and into the future”. This a blind cart put before a lame horse. Aksel you refused to listen to the people you are supposed to represent. The simple result is you have lost all our votes and will not be re-elected. Look at the huge outcry, admit you were wrong and fix it. Aksel can you please explain to my daughter and all the kids attending now and in the future “in zone” Hillcrest High, why you have stopped them being able to walk 1 minute from School to get out books to aid in their learning. While all their other friends can?